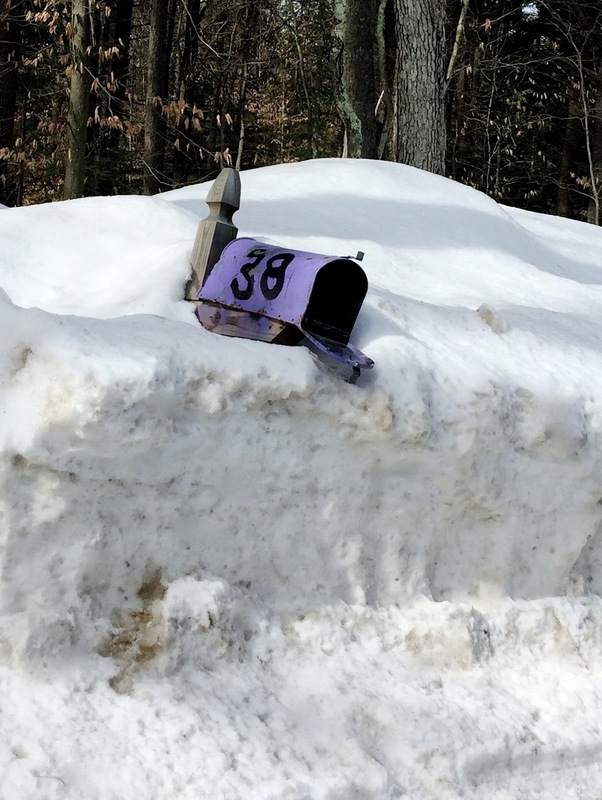 Temperatures rose to 45° yesterday… almost a heat wave in New England. Icicles hanging from the roof began to thin and several large ones fell to the snow below. Instead of staying home and watch the icicles melt, mister gardener and I decided to venture out for a walk and lunch. If we wanted to trudge through ice, deep snow and slush, we would have taken the woodland walk. We decided to journey down town and use the cleared sidewalks. Once there, we found that others had the same great idea and we walked behind, in front of, and passed happy, friendly folks getting a small-ish workout and enjoying the fresh air along the sidewalks of Exeter. 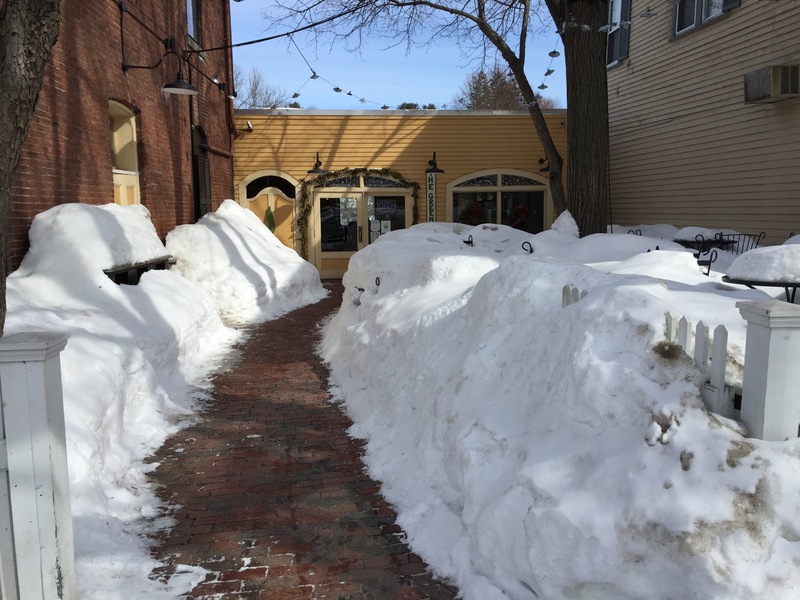 Afterwards, we had worked up a little appetite for a cup of soup at The Green Bean restaurant… and despite the warm temperatures, we decided that eating lunch on the terrace at one of our favorite restaurants in Exeter is still several weeks away. But look how clean the sidewalk is! It’s that way everywhere here and amazing to me just how the city and the businesses accomplish this feat with the endless snow this season. 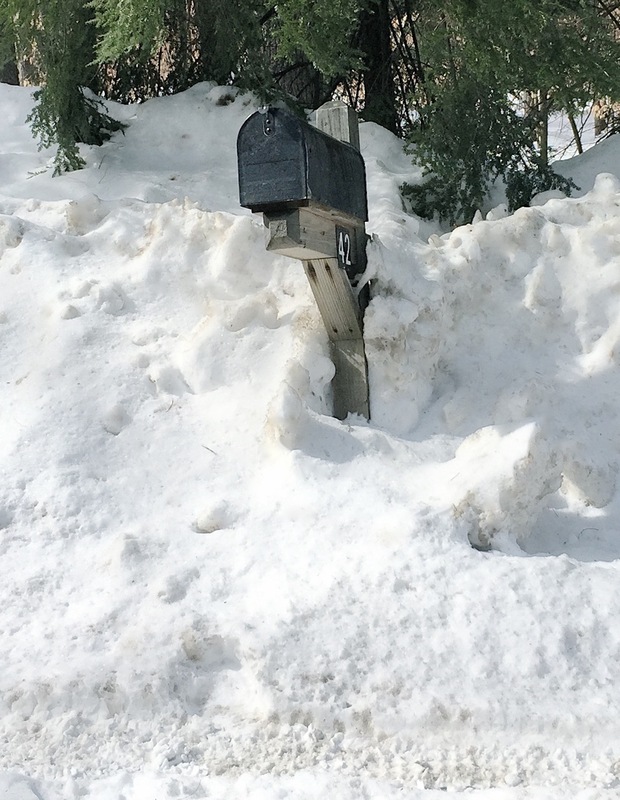 Following lunch, we drove home the back way to see how a few neighbors’ mailboxes fared after perhaps a record amount of snow accumulation. 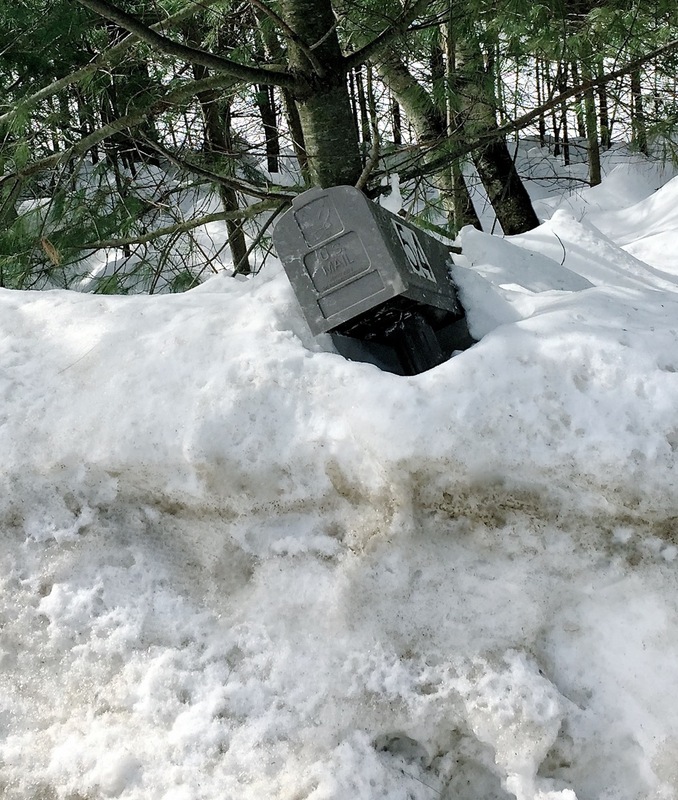 Snow plows have no choice but to blast snow to the side of the roads and very often the mailboxes are the victims. This year was no exception. And finally, we laughed when we saw in astonishment that the mail is still being delivered to all of them. A warming trend is in the forecast and we will be happy to say goodbye to these mountains of white, however, the next big threat in New England is water from the big melt. Most homes have basements around here… including us. We’ve been warned that the threat of a flooded basement is a big one. We are keeping our fingers VERY tightly crossed. 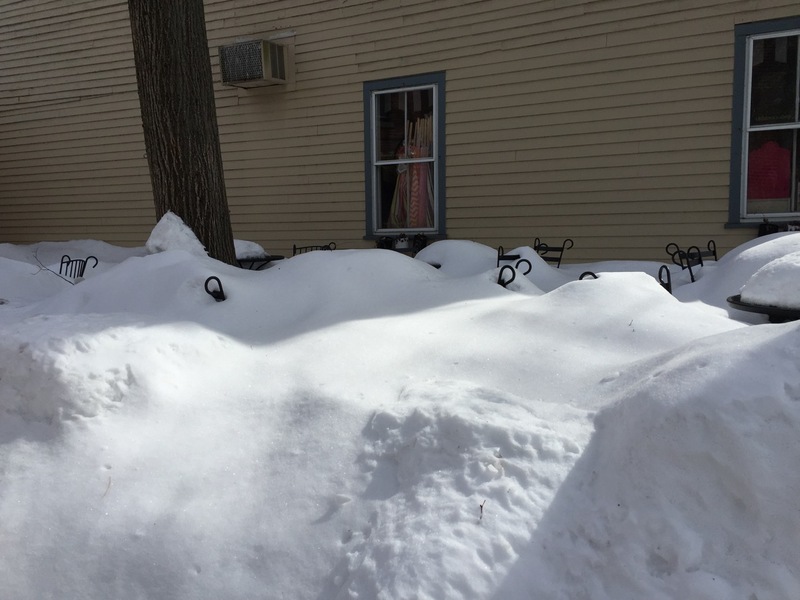 This entry was posted in New Hampshire and tagged New England, New Hampshire, Snow, spring, The Green Bean, winter by Annie. Bookmark the permalink. I actually saw a puddle today. The snow is melting! I am glad things are moderating for you. Last night the temps fell below 20, again, but it looks like lows that bad might be a thing of the past, at least for the next week. All of our melted snow is not threatening basements here, but boy is the garden soggy. We are beginning to see the sun here but locals tell me that it’s not spring that’s coming, it’s the official Mud Season. Which is worse: our mud or Tidewater Virginia’s wet sand being tracked in the house? It’s the little things that count, like seeing bare sidewalks though they are still narrow tunnels! Love your mailbox series of shots. 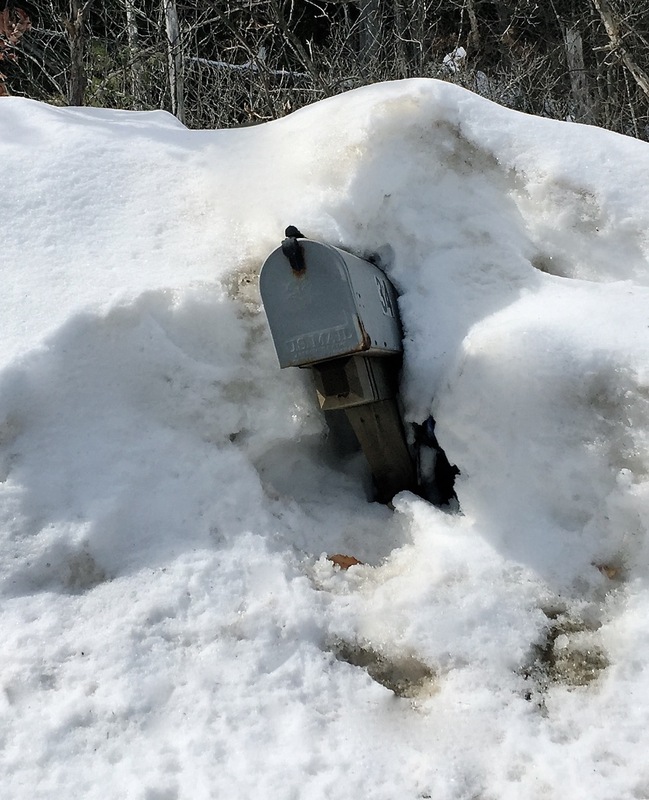 It’s a silly spring ritual to repair the mail box in hopes one doesn’t receive the nasty note from your mail carrier. 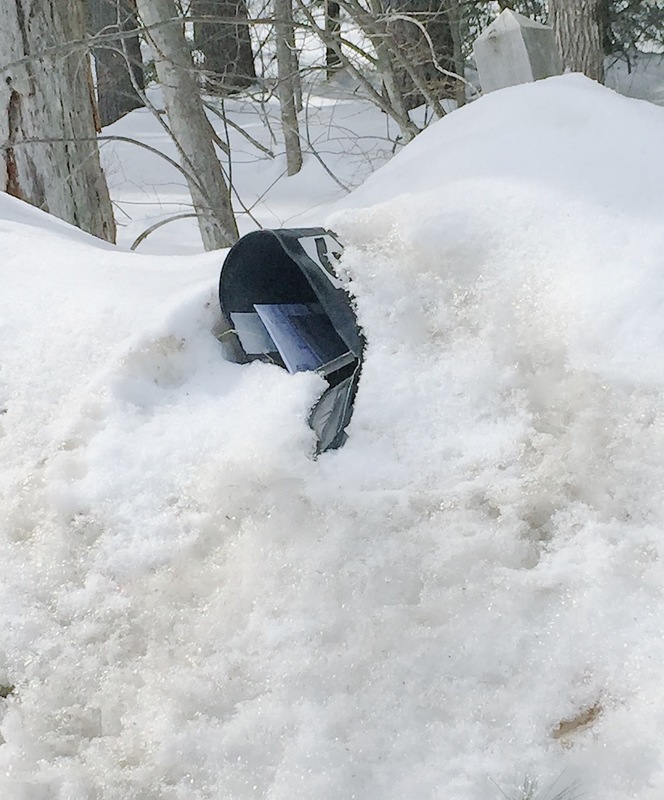 It must be a standard spring ritual in New England as no one seems to raise an eyebrow at the mailbox wreckage… except us. We are still wide-eyed with amazement. Ewww… a nasty note from the carrier? Too much. Got it today, in fact. I think it is my third notice but who’s counting? It’s as though there are two seasons in New England, Snow and Summer. Hopefully the snow will be gone before Summer starts this year, but without leaving my basement flooded! Oh great! I’ve been forewarned about New England’s two seasons. I am dreading the big snow melt and a possible wet basement.